The Motorola DROID 2 is in the uncomfortable position of being in between the game changing Motorola DROID and the solid, underrated Motorola DROID 3. As the sequel to a model that merely started Androidmania, the Motorola DROID 2 had a lot to live up to. Unfortunately, with the advantage of hindsight, we can see that the device never did catch on like its predecessor. For those still hanging on to the phone, hoping that August gets here in a hurry so that they can update to the Motorola DROID 4, you should check the screen on the device. There you should find an OTA update (v4.5.621) that will install some bug fixes, and comes in at 14MB. Some of the bugs being fixed includes one that turns on the phone without any interaction from the user and one that replicates thumbnails in message threads. 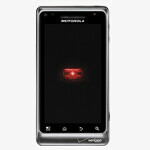 After the update, users of the Motorola DROID 2 will be able to save purchased ringtones and use them when appropriate. If you haven't received the OTA notice of the update, you can check for it manually by going to Settings -> About Phone -> System Updates and looking to see if the update has arrived and is ready to be installed. A Google Security Patch has been added to improve security level. Mobile Hotspot is turned on. Motorola may not be timely with updates but they still push them out even late in a products life cycle. Cheers Motorola.